The veteran administrator also took the opportunity to make a few potshots at the media, who had reported the shoddy preparations to the Games. 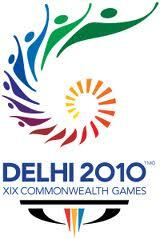 "Despite the adverse publicity about security, health, infrastructure and heavy rain, all Commonwealth Games Associations have stood by India as Delhi 2010 becomes the largest ever in the history of the Commonwealth Games. More than 6,800 athletes and team officials from all the 71 nations and territories of the Commonwealth have showcased their faith in India by confirming their participation. He also tried to impress upon the athletes and said, "We have designed these Games around you. Be it the Games Village or the competition venues, the facilities have all been created with you in mind. You have told me over the past week that you are enjoying the stay in the Village and it is better than many that you have been to. I have always believed that while you would come to Delhi as friends, you will return as family. "Even the media personnel had a tough time as they tried to report on the opening ceremony. Many of the photographers and reporters were assigned seats in the stands with small seats where they could hardly sit let alone use their laptops and cameras. The spectators also complained after they were not allowed to carry even their mobile phones or cameras. Many big events like the Football World Cup or the Olympic Games allow spectators to carry cameras so they can keep the memories forever, but in Delhi the fans were not even allowed to get their cars even a couple of kilometers near the stadium forcing them to use the metro railway trains, which were running way behind schedule on the Games Venues line.A total of four heads of state from outside India are expected to attend the Commonwealth Games Opening Ceremony; 3 from Commonwealth nations and one from a non-Commonwealth nation. The four head of states are Mohamed Nasheed, Marcus Stephen, Sir Anand Satyanand and Prince Albert II of Monaco. Grand Opening Ceremony Promised For Commonwealth Games 2010 by the organizers. They promised that the opening ceremony would be better than that of the 2008 Summer Olympics held in Beijing, insisting they will “put on the best opening ceremony the world has ever seen”. Commonwealth Games Opening Ceremony 2010 will be placed below.According to the protocol, the host nation of the previous Commonwealth Game 2006 Australia will lead the marching event, whereas the present host nation India will be the last. Also India's national anthem Jana Mana Gana will be played at the 2010 Commonwealth Games.According to the protocol of the Commonwealth Games, the last and final carrier of the baton will be a well-known personality from the sports arena, from India,the host country. There will be a lot of musical extravaganza consisting many Indian and foreign artists. There will be also a lot of fireworks. Many celebrities from sports, bollywood and politics will address the gathering people and athletes. The event will be inaugurated with the presence of President of Indian Olympic Association.The national anthem of India will also be played during the occasion. The flags of three countries, the last host country, the present host country and the next host country, will fly at the Jawaharlal Nehru Stadium.Besides these, there will be musical programs where many foreign as well as Indian performers will perform. Many famous personalities and celebrities from sports, politics, Bollywood etc, will grace the occasion. 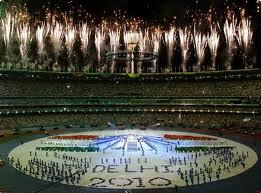 Dazzling fireworks will add up to the joy and excitement at the 2010 Commonwealth Games at Delhi.